Nashville is full of unique offerings you can’t get anywhere else and now it has a water resort! I was invited to attend the official Grand Opening and Ribbon Cutting Ceremony at Soundwaves on January 31, 2019. The remarks by Colin Reed, CEO, Ryman Hospitality Properties and Nashville Mayor, David Briley, made it clear that they were striving to create a whole new experience for Nashvillians and tourists alike. I think they really hit the mark on creating an upscale waterpark experience that offers both the relaxation of a spa and super fun water adventures you won’t forget. 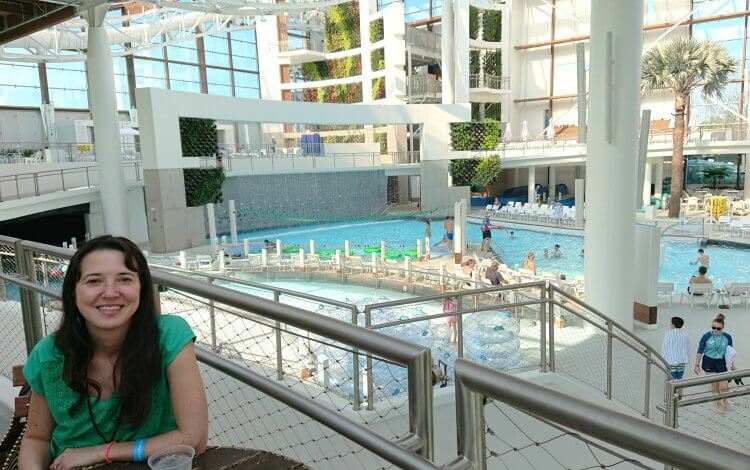 After the ribbon cutting ceremony, I was able to stay and enjoy getting to check out and experience various elements of the SoundWaves water resort. 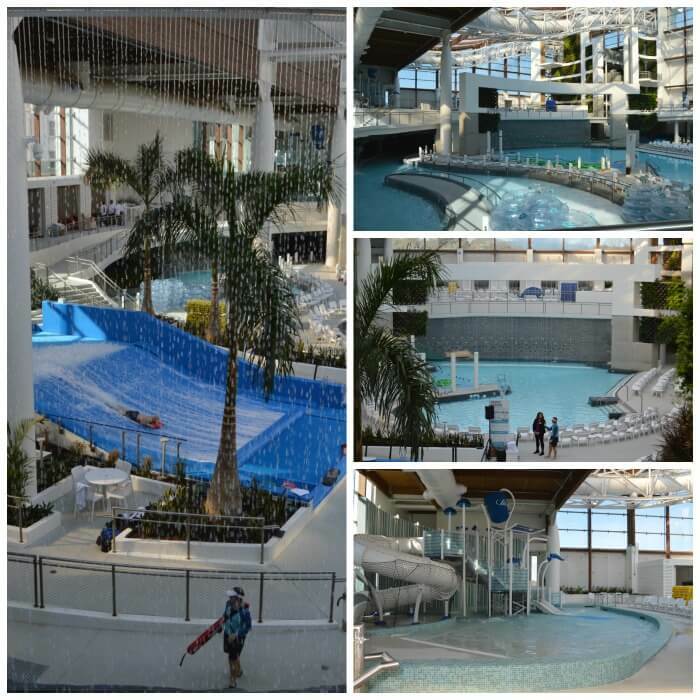 If you are wondering how I could you go to a waterpark in Nashville, Tennessee during this cold winter season, I must tell you that SoundWaves currently offers a large indoor water park that can be enjoyed year round. In May, SoundWaves will open a large outdoor water park area that will double the water thrills and relaxation giving you 4 acres to explore. For now, all of the SoundWaves experiences I will share with you are about the indoor water park Nashville, Tn., has to share with the world. SoundWaves is designed to add luxury, relaxation, and thrilling experiences, to waterpark rides. They also offer an adults only area with a full bar and infinity pool. There truly is something for everyone to enjoy, whether you are a young single or a family with the whole age range of children from babies to teens. It is the kind of posh experience that speaks of the good life and living it to it’s fullest. SoundWaves is reserved exclusively for overnight guests who book the SoundWaves Water Experience overnight package. Gaylord Opryland is in itself an attraction with a 2,888-room hotel, shopping and entertainment complex. It is the largest resort not attached to a casino in the USA. It offers rooms with balconies that overlook what I would describe as an indoor groomed jungle complete with indoor waterfalls, palm trees, and a skybridge. SoundWaves was a $90 million investment that really delivered a luxury waterpark experience in so many new and unique ways. SoundWave’s Indoor Water Park in Nashville. From the moment you walk into SoundWaves, you know it is not your ordinary waterpark. You see a relaxing curtain of water falling into a lazy river and right beyond that the thrill of surfing on a FlowRider. It is 84 degrees and there are gorgeous walls of plants that make you feel like you are in the tropics. 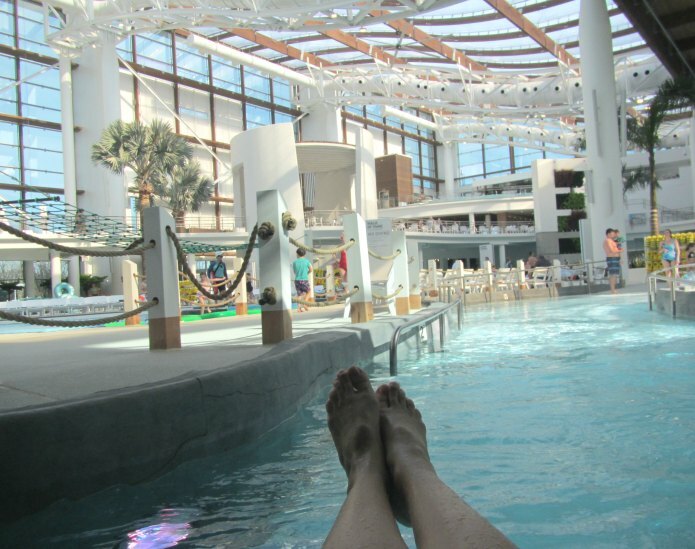 Kick your feet up and relax on the Down Tempo Lazy River at SoundWaves in Nashville. If you want to chill, SoundWaves water resort has plenty of lounging chairs and privated cabanas where you can relax by the water and still watch your toddler explore the Quarter Note Cove splash pad or watch your tween get crazy at the Groovin’ Lagoon Activity Pool. There are also two rivers to enjoy- the Down Tempo Lazy River and Up Tempo Rapids River. When you really want to fully relax, you can head up to Status Cymbal and enjoy a signature drink (like the Blue Note or Standing Ovation, both served in keepsake glasses) in the adult-only infinity pool. Relaxing is always good but so is getting your heartbeat going and feeling a rush! Without a doubt, the FlowRider will provide you will all kinds of thrills as thousands of gallons of water rush as you while you try to surf on your belly, knees, or standing. SoundWaves even features a double FlowRider that lets two people surf at once on busier days. Of course, there are some great water park slides too! My favorite was the Record Launch tubing bowl path for an intense centrifugal experience with 16 LED lights and four music speakers. I would really like to try the Rapid Remix 4-5 person mega raft for a series of vortex loops with my family! 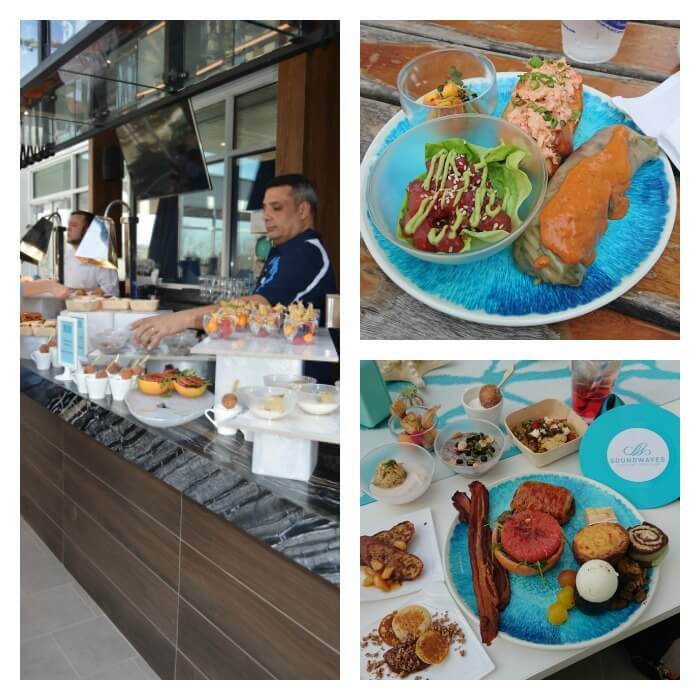 Not your average water park food! SoundWaves is perfect for parties too! 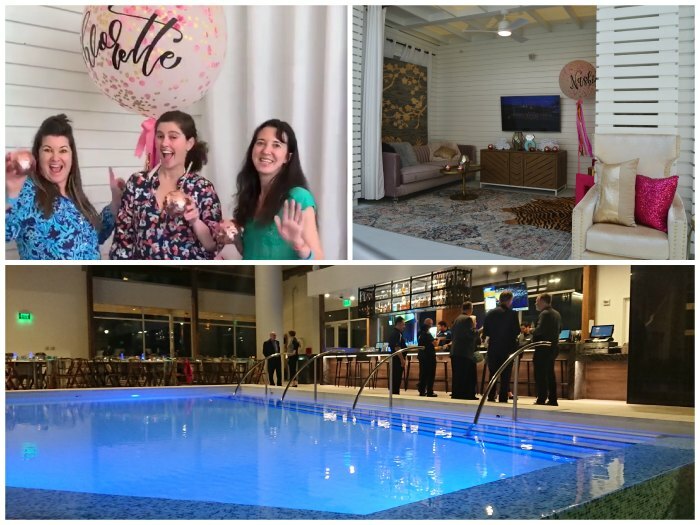 Not only do they have the Status Cymbal adults only section, they also have private cabanas and private party rooms that can be rented out to suit your needs from birthday parties (I think my daughter would flip! ), to girls night out parties, to family reunions. SoundWaves can customize cabanas and private rooms for any event with whatever you need from TVs, to couches, to decor. 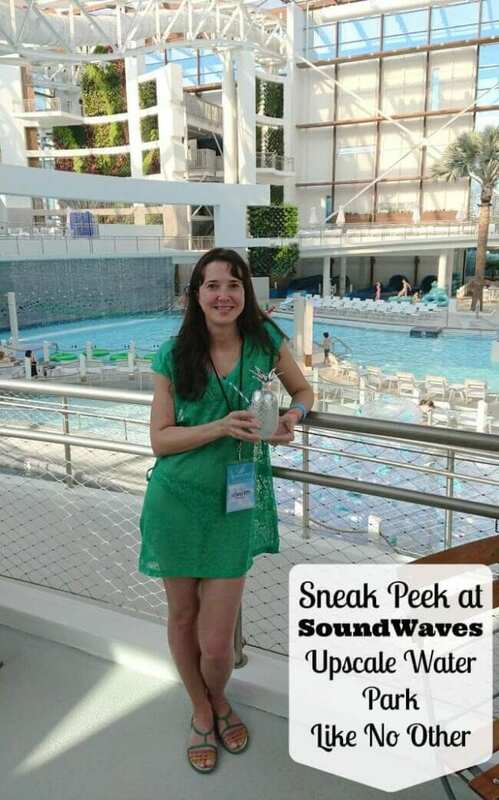 I am thrilled that I was able to attend the SoundWaves grand opening and get a taste of the experience for myself. 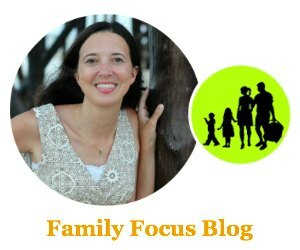 I think it would make a great family staycation for Nashville area residents and it is work the trip for out of towners! Have you been to SoundWaves at Gaylord Opryland yet? If you have been or would like to go, what part appeals to you most? Is there a code or something so that they know I learned about this through you? No tracking, but if you come to Nashville, I would love to see you!